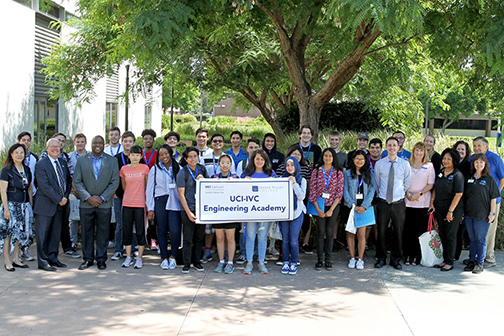 The UCI-IVC Engineering Academy is a partnership between Irvine Valley College and UCI Samueli School of Engineering. Only high school students who applied to UCI Samueli School of Engineering, but not admitted are eligible to be in the academy cohort. Applications for the fall 2019 cohort are now being accepted. Only senior applicants who applied to the Henry Samueli School of Engineering at UCI and were denied are eligible. Visit the Counseling Department or the Transfer Center for more information regarding transfer options.